We vividly remember disasters. 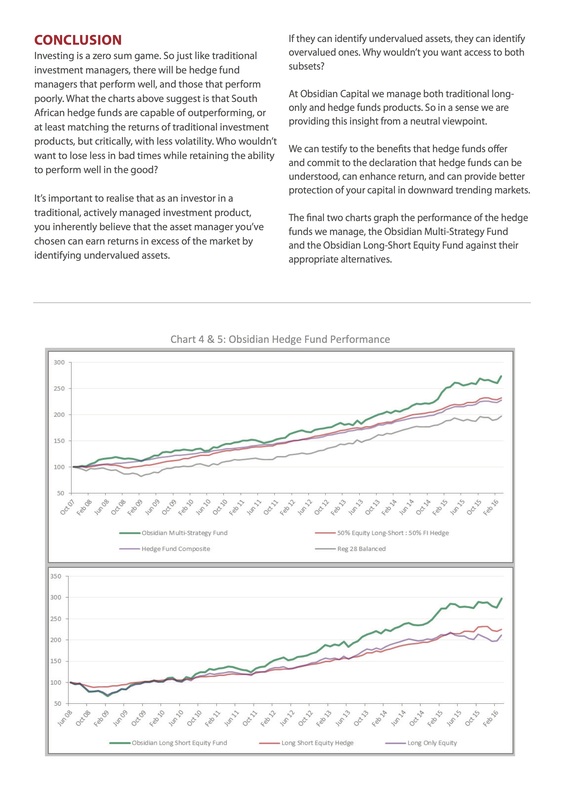 It’s why our palms sweat in mid-air turbulence, and why many investors turn cold when hedge funds are proffered.  – Amaranth Advisors lost $5 billion in a single week when a tame hurricane season failed to disrupt the supply of gas, leaving prices lower than expected. 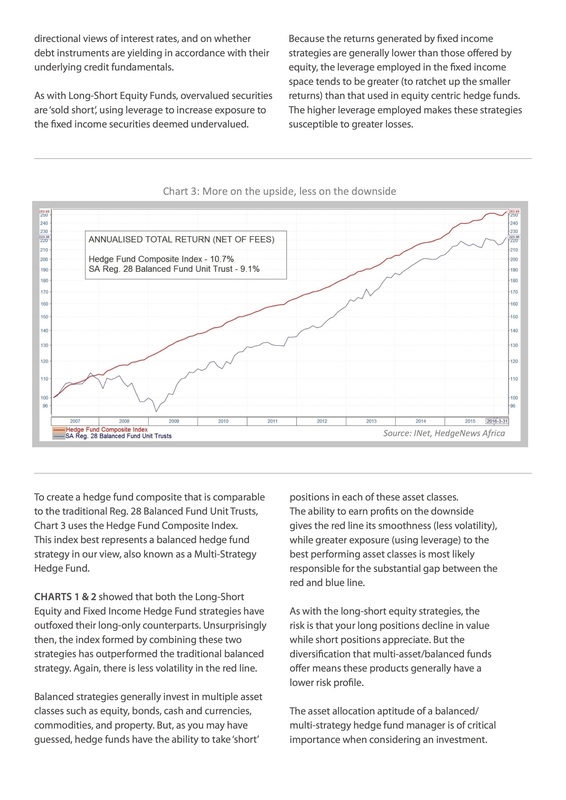 – Tiger Funds shorted what were in fact extremely overvalued tech stocks at the turn of the millennia, but couldn’t stay solvent long enough to reap the windfall. – Long-Term Capital Management piled into Russian Government Bonds only to see them default, losing in excess of $4 billion for their clients. 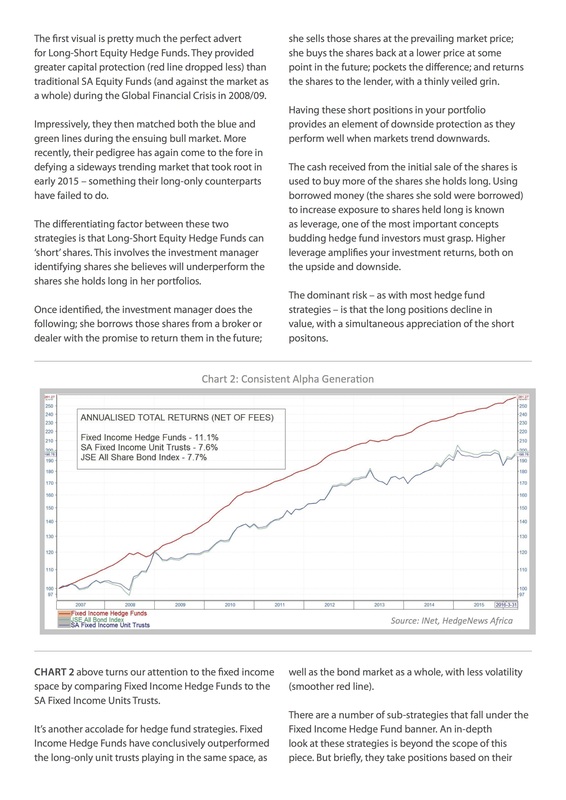 Losses of such magnitudes are not only frightening, but run counter to what most hedge funds claim to be; absolute return vehicles targeting a positive return no matter the market’s gyrations. Those familiar with these financial devastations have reason to be weary of hedge funds, as do nervous fliers when faced with an airline tarnished by a fatal crash. 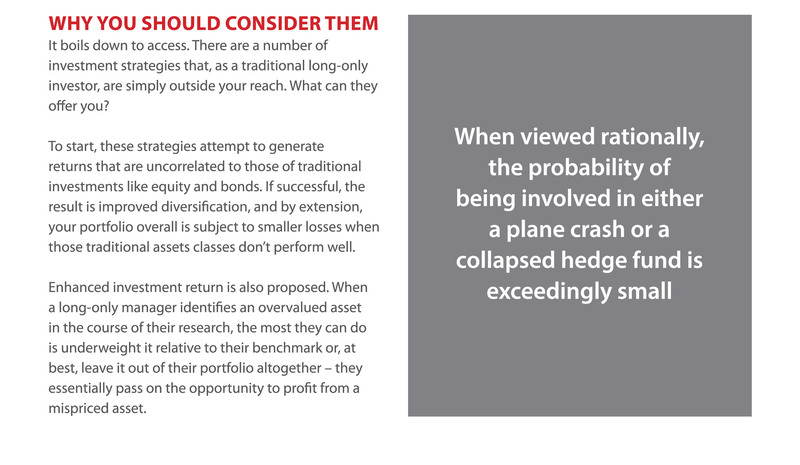 But when viewed rationally, the probability of being involved in either a plane crash or a collapsed hedge fund is exceedingly small, especially when you’ve chosen your service provider carefully. 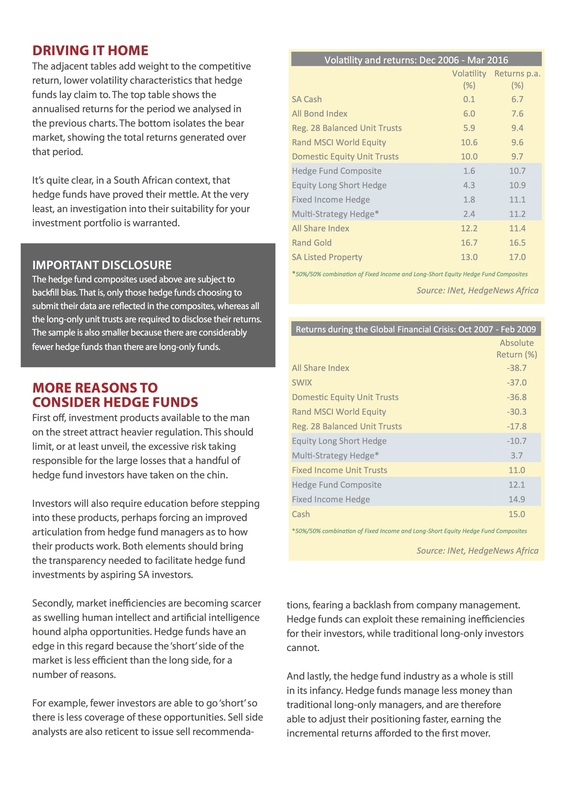 Individuals in South Africa are now able to invest in hedge funds. Yes, you can avoid them. Your situation may demand it. But that decision should be based on suitability, not on fear. 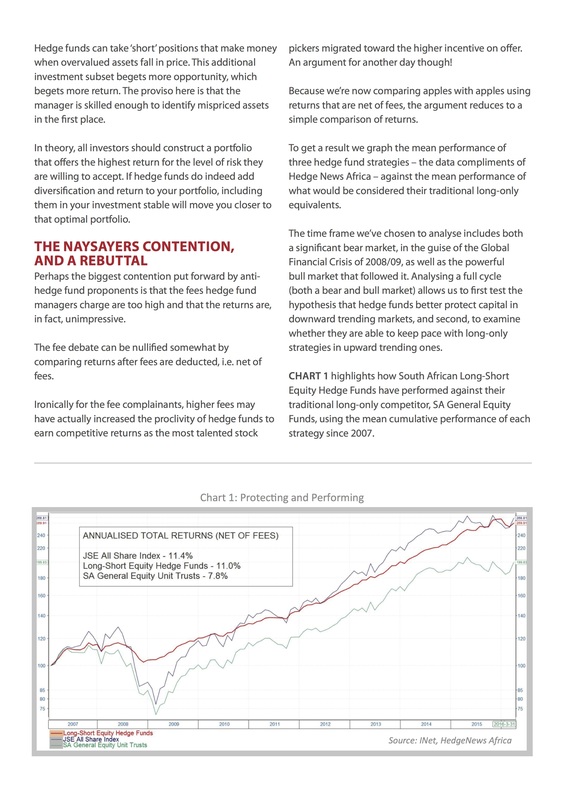 We put forward a case for including hedge funds in your portfolio below.